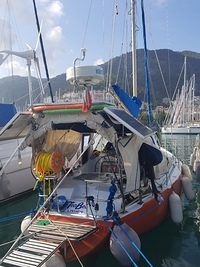 Interalife is jouet fandango 33 Franse sailboat and ready for international sailing. Has 2 camaras. Any cooking materials, radar, security equipment. 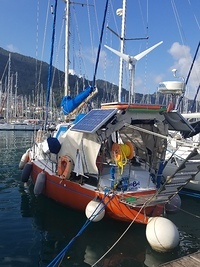 Solar panels, wind power generator, inventor, tv, cd player, vhf, yanmar engine.